At Swim Guide, our affiliates represent an expansive network of ENGO’s, universities, governments, businesses, and more. Some groups join Swim Guide as seasoned organizations, while others work with us from the ground floor. For Tampa Bay Waterkeeper, our newest affiliate, building a water monitoring program and using Swim Guide to share their results has been a priority since launching less than a year ago. 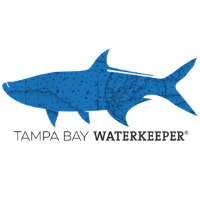 A registered 501(c)(3) non-profit and member of the Waterkeeper Alliance, Tampa Bay Waterkeeper has quickly positioned themselves as a leading voice for the Tampa Bay watershed. Operating on the principle that everyone has a right to swimmable, drinkable, fishable water, Tampa Bay Waterkeeper combines science, advocacy, community engagement and legal enforcement to restore and protect their local waters. While their work is far-reaching, Tampa Bay Waterkeeper aims to tackle four core issues: stormwater pollution, wastewater pollution, land use and transportation, and coastal resilience. In working towards solutions to these core issues, Tampa Bay Waterkeeper runs several programs, outreach initiatives, and advocacy campaigns. One of their flagship programs is a water quality monitoring program, which launched October 2018. Working in close partnership with Swim Guide, Tampa Bay Waterkeeper will conduct regular, year round sampling around the bay to keep recreational water users up-to-date on the quality of their water. Located on the Gulf Coast of Florida, the Tampa Bay watershed is a vital resource for the 3.2 million people that live there. Spanning the Counties of Pinellas, Hillsborough, and Manatee, the watershed covers nearly 400 square miles and drains almost 2,400 square miles. A mixing ground for for salt and freshwater, the bay is an ideal habitat for marine and coastal life. It is home to over 200 varieties of fish, and megafauna such as dolphins and sea turtles. Tampa Bay is truly the heart of the region, both economically and culturally. The Tampa Bay regional economy is valued at $170 billion, $51 billion of which is directly influenced by the bay. Vibrant commercial and recreational fisheries are fundamental to the Tampa Bay way of life. Similarly, recreational water use, including swimming, paddling, boating, and wildlife watching are all popular activities for those who call the bay home. Visit tampbaywaterkeeper.org to learn more and support their work.